Louise has worked with children and teenagers with a wide range of difficulies for the last five years. She trained in Listening Therapy in Paris and Dublin in 2008. Louise has a BA in Early Childhood Studies (hons), and joined Cluas in Dublin initially as a programme supervisor, delivering Cluas programmes to more than 500 children. 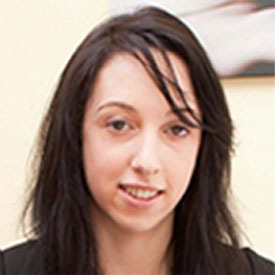 In 2011 Louise moved to Cork as Centre Manager and now directs all Cluas programmes in Munster and supports parents implementing the Cluas @ Home programme. “Working directly with the children firstly in Cluas Dublin and later in Cluas Cork over a number of years allowed me to see first hand the significant developmental benefits of the Cluas programme. Louise is a regular presenter at Cluas information sessions outlining the benefits of the Cluas @ Home programmes for children with a wide range of developmental difficulties and delays.